Clearly ‘someone’ is more than upset with Australia First Party. The Sydney Morning Herald’s latest editor, Lisa Davies, last Sunday paid a serial antifa troll from Melbourne, Luke McMahon, to scribe lies, fabricated slurs, false association in a hateful troll attack to defame one of our members, Nathan Sykes. 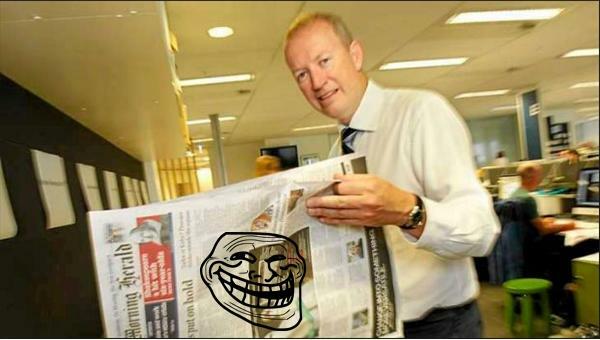 Davies approved the troll piece for print circulation across Sydney and across the country in newsprint and on the Internet. It was like reading ICE-induced Red Flag, GreenLeft, Slackbustard or even New Matilda. This is where discarded Fairfax ‘journos’ was up anyway. What journalistic standards, code of ethics, code of conduct? Fairfax It was a nationally organised political attack against the Australia First Party. Many nationalists and other patriotic people registered with Australia First Party have expressed their anger about Fairfax Media – not only for its attack on our party and against the nationalist cause in general, but Fairfax’s personal attack against one of our nationalist researchers/writers. We note that Luke Mc Mahon has a record for journalistic fraud. His Dole Army program ran on the ABC years ago demonstrated the style. His 2015 article on “gun toting anti Muslim” activist, “Chris Shortis”, reasonably fell far short of objectivity. In fact, it was pure piffle, propaganda masking itself as ‘journalism”. Our editorial management shall be conducted upon principles of candour, honesty and honour. We have no wish to mislead; no interest to gratify by unsparing abuse, or indiscriminate approbation. The Sydney Morning Herald, April 18, 1831. McMahon joins a long list a truth-benders at Fairfax who have misrepresented nationalist and patriotic organisations for decades – Sandra Harvey, Liz Wynhausen, Graham Williams, Adele Horan, Greg Roberts, Malcolm Brown.and Greg Bearup. 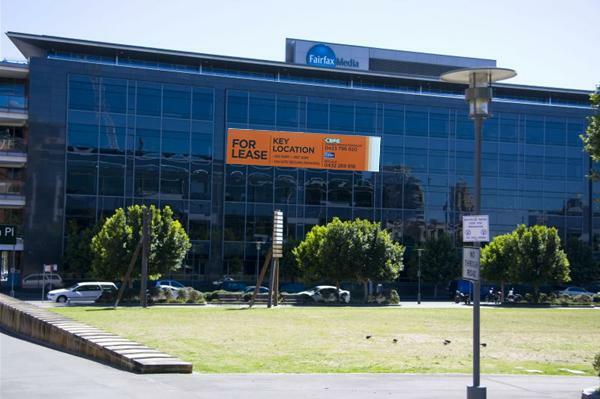 After two decades of watching advertising revenue follow the Internet, share price collapse, mass sackings and editor after editor shown the door, trolls, party political agents and unpaid interns are all that’s left at Fairfax. Lisa Davies is just another marionette in Fairfax’s Lord of the Flies culture. A barrage of Facebook correspondence from McMahon to the then United Patriots Front (UPF) in 2015 rather shows a lack of ‘sympathy’. He saw his targets as foolish, deluded and what not. He has now moved on from the UPF to other targets. Upon legal advice, we can say nought more for now, other than to say, that the first response may well surprise our followers and opponents. We link to significant material published by the former intelligence website, Whitelaw Towers on the credibility of McMahon.